Continuing on my journey of learning Ansible with a twist of VMware (see my previous post on Getting started with Ansible and VMware). I’ve started to play around with PowerShell Core and PowerCLI in Ansible. What I’ve found is that you can do a lot of interesting things with PowerCLI in Ansible, removing the need for a Windows jumphost. Now I think the magic here is really just using PowerShell Core with Ansible. However, I wanted to tackle this once again from the VMware admin view point. So I’m focusing on using Ansible to leverage PowerCLI to connect to vCenter server and to perform some PowerShell / PowerCLI actions, all running from the local Ansible host. As with my previous post, this is not really an Ansible 101 guide. Rather the goal here is to show you, the reader, what’s possible with PowerShell Core and PowerCLI using Ansible. Getting you thinking about how you might leverage this in your environment. So let’s lay the framework of what we’ll cover below. I’m going to assume Ansible has already been installed. I’ll go through the steps to install PowerShell Core onto the Ansible host. Then install the VMware PowerCLI modules and run some basic Cmdlets. Finally I’ll cover the more interesting Ansible integration part. In my lab I’m using Ubuntu. So everything I’m going to do will be based on this distro. So let’s get started. Install PowerShell Core with the following command. Depending on your Linux distro and version you may have to set an updated MS repo. Next sudo into PowerShell. We use sudo because the next few commands we run in PowerShell will need elevated privileges. Install the VMware PowerCLI modules with the first command below. Then change your PowerCLI settings to ignore self signed certificates. If you have signed certs you can skip this step but most of us probably don’t. At this point you can exit out of the PowerShell prompt and come back in without using sudo, or just keep going as is, the choice is yours. We can now make our first connection to our VCSA host and if successful run a few basic PowerCLI Cmdlets like Get-VMHost. Assuming all is successful up to this point we can now turn the above commands into a PowerShell script called vcsa_test.ps1. It’s not ideal but for the sake of demonstration purposes I put the username and password details into the script. I like to pipe the vCenter connection to Out-Null to avoid any stdout data polluting my output results. We can now create an Ansible Playbook that will call our PowerShell script. Exit out of the PowerShell prompt and using vi, nano, or another editor create a file called vcsa_test.yml and enter the below. The only real important line is the one with ‘command’. Remember that spacing is important in the yaml file. Now try running the Ansible Playbook we just created and check if it runs. Again if all successful the results should look something similar to below. Finally we check if our ouput file created correctly. What we covered above are just some of the fundamentals to running a PowerShell Core script on an Ansible host. There are still a lot of improvements that can be made. The most obvious is we can move our username and password details out of the main PowerShell script. We could also take the json output and pass it into the Ansible Playbook to read the values for later use in our plays. But most importantly we can now start to make advanced configuration changes in vSphere where Ansible modules don’t exist. For a little while now I’ve been playing around with Ansible and exploring its VMware modules. While using Ansible with the VMware modules is not overly complex. 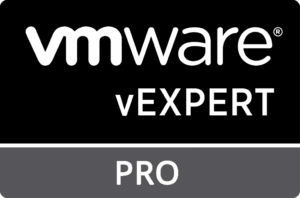 I quickly realised there were very little examples out on the web for the VMware administrator. So I thought I would put together a very simple crash course on getting starting with Ansible and VMware. The intention here is not to explain how Ansible works. There’s a lot of information out on the web around that, plus I’m still learn too. Instead I just wanted to put together something relatively simple. Show how to quick and dirty get Ansible installed on a Linux box with the required VMware SDK. Then create an Ansible playbook to build a basic environment in vCenter. This will involve a new Datacenter, a Cluster, and a Resource Pool. Firstly let’s install Ansible. Ubuntu and CentOS are common distros so I cover them both below. With Ubuntu I also add the Ansible repository. While I don’t believe it’s really required it seems to be what most people do. Once installed we can run a simple verification check to see if the install was successful. Now we install pyVmomi. This is VMware’s Python SDK for managing vCenter and ESXi and is required to use the VMware modules that come with Ansible. And that’s all that we really need to install to build our first playbook and run it against vCenter. To run our playbook we’re going to need to create a few folders and files. The structure will look something similar to below. Now even though this is a crash course to running our first VMware playbook I want to at least do things half right and not have any plaintext passwords. So before I go too far into creating the yaml files I want to create an encrypted string of our vCenter’s administrator SSO password. I do that with the following line. You’ll be asked for an Ansible vault password and then receive back an encrypted string. The vault password will be used when we run our play (don’t forget it). Copy and paste the output and put it aside for a minute. We’re going to pasta it in our group_vars file that we’re about to now create. Using vi or nano or whatever you prefer to edit the file. Let’s edit the all.yml file and add in all the variables we will use in our playbook. Again, crash course, so don’t worry too much about what each one does right this minute. Just know that we have to reference these values multiple times in our playbook and having a variables yaml file really helps with that. For the vcenter_password variable use the encrypted string we created in the step above and paste it in so it looks similar to below. Obviously feel free to change any of the values, datacenter, cluster, etc. Like we did with the variables file lets edit this file. Again, vi, nano, whatever. Copy and past the information below. Things to note. Yaml files don’t like tabs. So spaces only and position is very important. Assuming you created the files correctly and have the right password we are ready to run our first Ansible playbook against vCenter. The resulting output in the vSphere Client should look similar to below. The cool part is we can run the same command again and again and nothing will change as long as our environment is consistent with our defined yaml files. They in essence become our working as-built doco. So the goal from what we’ve just done above was not to actually build an environment but rather to show you how quick and simple we can get Ansible up and running and configuring a vSphere environment. I’ve avoided a lot of the technical stuff so instead you can think about how this might help you in your environment. In future posts I might go into more details on specific modules and how to use them but for now I think I might just focus on what’s possible with Ansible and VMware.